DNA Genetics Kosher Hat: This stylish flat bill hat from DNA Genetics is part of their new 2015 clothing range, fresh from the DNA Genetics store in Amsterdam. Made from a blend of acrylic, wool and spandex, this stretch-fit cap features the iconic DNA Genetics logo embroidered on the back in white. 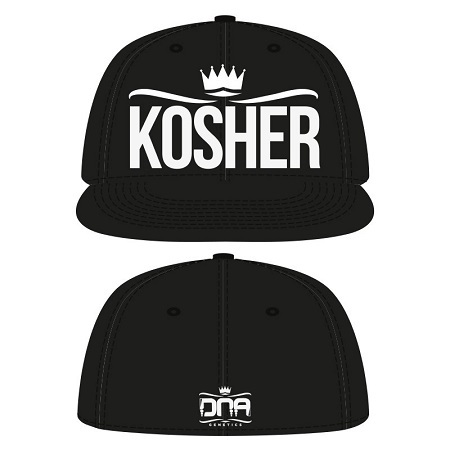 The front of the hat features a large 3D embroidered KOSHER logo, referring of course to DNA's famous marijuana strains, Kosher Kush and Kosher Tangie. 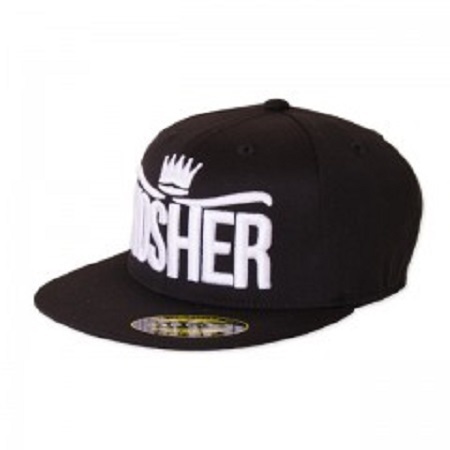 The bill or peak of the cap is a flat style. The flexible material will stretch slightly to perfectly fit your head, but the cap is available in two sizes: small to medium and large to extra-large. Show your support for the mighty DNA Army and their elite genetics with one of these stunning new hats from the 2015 range.